Student Council helps share ideas and concerns with teachers and administration. We have several fundraisers throughout the year to help fund student activities, projects, and helping people in need. We participate in outside activities such as Feed My Starving Children, Blood Drive, and Community Table. 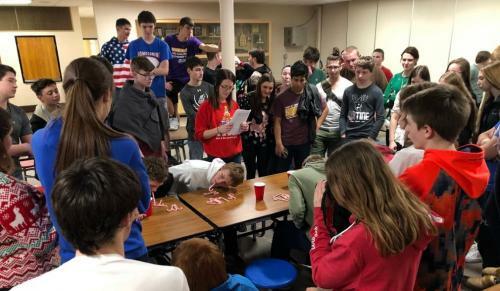 We also have a few traditional school activities such as handing out Valentines, Shamrock Shakes, and our end of the year cook out. Anyone is welcome to join in grades 9-12.